VIDEO: Chocolate "Made in Haiti" - What does the World Bank have to do with that? 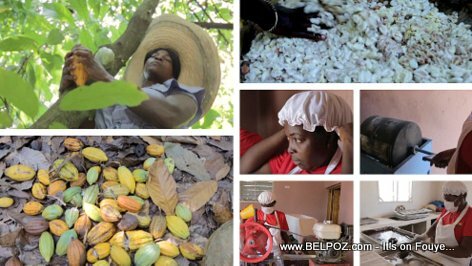 The World Bank tweeted: "In Haiti, a small farmers association is not only transforming cacao into chocolate, it's also working to turn its all-female members into entrepreneurs." Also discover how the world bank is improving the lives of small Haitian rural producers via a project called RESEPAG by helping them to become more efficient and to improve the quality of their products. These small producers also learn how to increase the quantity of what they produce and also how to improve the added value of the produce. RESEPAG is a french acronym for the projet de Renforcement des Services Publics Agricoles. The project is financed by the World Bank and implemented by the Ministry of Agriculture, Natural Resources and Rural Development in Haiti.